Excellent Apps to Earn Mobile Talktime and Cash Prices on Referrals!!! While there are many options available to avail free talking such as Google Hangouts, WhatsApp Calling, Facebook messenger, thrust for free SIM recharge is always seen. Who doesn't want free talk time recharged to their mobiles? With this greed, many Indian and overseas companies are now promoting their brands using free coupons and gifts. With those attractive schemes online sites such as paytm, mcent have come up with a variety of referral benefits. How to Get Rs 25 Cashback on Rs 25 Recharge at Paytm? Terms: User can use this offer once. This is an excellent app currently available which offers on app download, trials and friends referrals. After your Friend install from your Link, you will Get Instant 10 Rs. TalkTime Wallet, which can be used for recharges, and rs 20 more if your friend downloads his first app. Recently they were giving as good as 40 Rs. for Amazon app download. While your Friend makes at least 160 rs, you will get 100 Rs added in your wallet. And a total of 10+20+100 = 130 rs will be added finally for one friend refer. If you keep referring friends, you will get free recharge every time and never pay for recharges. Ladoo again provides great benefits by recharging and referring others. You will get free recharge for downloading android apps and Rs. 10 for referring each refer. Mcent pays maximum on recharge, download and refer. They not only pay after referring friends but also for trying other app downloads and trying them. Mcent is guaranteed site and straight away give 100 Rs. for every refer. It is one of the top paying sites. First refer get 100 Rs. Download and try apps earn variable amount. Mobi TalkTime is a good free recharge android app. They offer Rs 25 for each successful refer. Another great app. 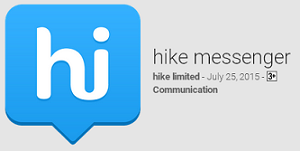 Now refer Hike to your friends and earn Rs. 20 on each referral. While you reach Rs. 50, you can redeem your money through recharge. Cash boss has many coupons and offers available. Also, avail free offers from Amazon, OLX, Flipkart etc. DOWNLOAD FREEB free recharge app. Refer your friends and earn Rs 20 on each. Means you will get 200 Rs on 10 refers. Pokkt earning app is another free recharge giving the android app. They offer Rs. 20 for each refer made through you. Upon Apps installation and trials, site pays your offer amount. For every 10 points you earn they pay you Rs. 1, Means if you make 500 points, you will be gifted with Rs. 50 talktime. On every referral, they give you Rs. 15. Goibibo is amazing offering 1000 Rs. Goibibo cash for android users. You can use this Goibibo cash during check out when travel Booking. That means you can travel anywhere free up to 1000 Rs using this Goibib cash coupons. Download Goibibo app and instantly get Rs. 1000 in your account which you can later get back using their online booking site. If you are planning to travel through Goibibo you will surely get benefited through their attractive referral schemes. Current offer is, if you are booking a hotel while, on travel, you get instant Rs. 500 on Oyo Rooms. Recently launched site offering as good as Rs. 25 on per referral via paytm. You have any amazing offer to share with others, put here in comments please.